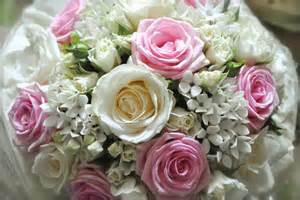 Bridal Nosegays- do you know what nosegays were originally used for? Brace yourself!Bridal nosegays – a fragrant bouquet of flowers- came into being far earlier than the Victorian era, but it was the Victorians who popularized their common use.Yes, a nosegay could be gathered as a romantic gesture or an impromptu gift, but their other use?One often carried a nosegay of fragrant flowers or herbs when walking through crowds in town or the city. What was their purpose?To block the scent of the un-cleansed masses of people. Although your own bridal nosegay will not be there to block your earthy scent from your beloved, you can still give your guests a small sample of your favorite bridal nosegay fragrance with 2 oz. 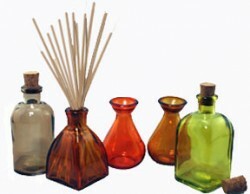 bottles of reed diffusers in freesia, stargazer lily, tea rose garden or your other favorite florals. Lik e us on Facebook. Get a Coupon Code you can use today.